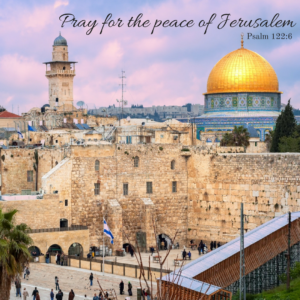 December 6, 2017 was an historic day – President Donald Trump formally recognized Jerusalem as the capital city of Israel, 22 years after the Jerusalem Embassy Act of 1995 was affirmed by the Senate. The Jerusalem Embassy Act urged the United States to recognize Jerusalem as Israel’s capital and respond by moving our embassy from Tel Aviv to Jerusalem but for 22 years formal recognition and our embassy move were put on hold. No one is naïve to the reality that moving the U.S. embassy is a bold move with potential ramifications. Nevertheless, it is a necessary move – this move says that the United States will not be bullied into inaction but we will stand by our strongest and only democratic ally in the region, that our presidents will uphold their campaign promises and listen to the voices of the American people. CWA was honored to be your voice on this issue. Concerned Women for America has been advocating for the U.S. embassy to move from Tel Aviv to Jerusalem since President Trump took office. Penny Nance was on CNN early this spring urging the President to “stand in lockstep with Israel” especially in the area of any disputed territory. In May, before President Trump signed the Jerusalem Embassy Act waiver, CWA participated in the twitter campaign, #MoveTheEmbassy, in an effort to engage the public on the issue. On behalf of each of you, Penny has personally discussed the issue with U.S. Deputy National Security Advisor for Strategy, Dina Powell, Ivanka Trump, and President Donald Trump, thanking them for their work to repair our damaged relationship with the state of Israel. Finally, CWA was party to letters sent to the administration regarding support for Israel which urged that our embassy be moved in acknowledgement that Jerusalem is the eternal and indivisible capital of the Jewish state. One such letter can be read here. We could not be more thankful for the supportive stance the Trump Administration has taken towards the state of Israel. Moving the United States embassy will leave a lasting impact in the Middle East.